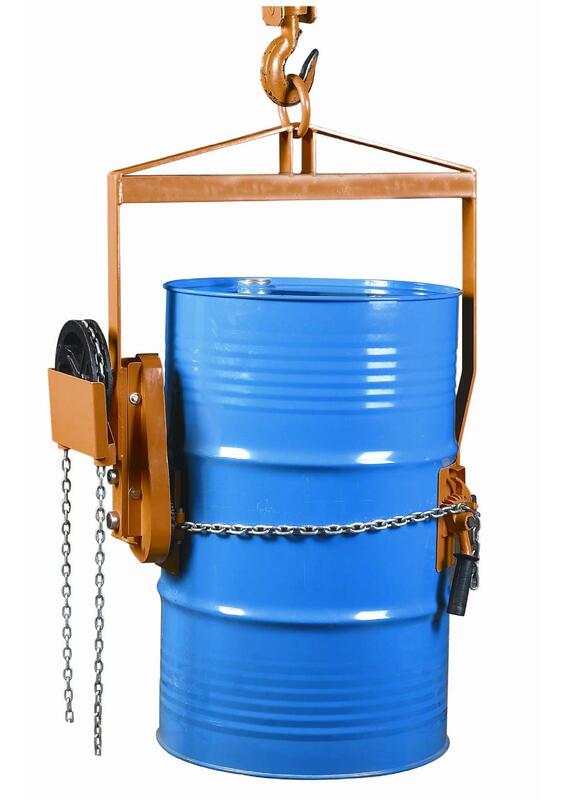 The DHE-LG800 is a geared vertical drum lifter/dispenser suitable for 210 Litre closed steel drums. 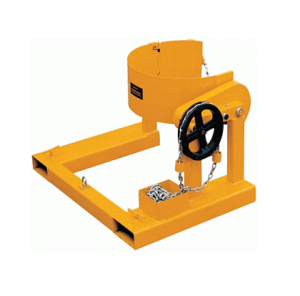 Geared drum lifters are simple to use and have a geared chain control for lifting. 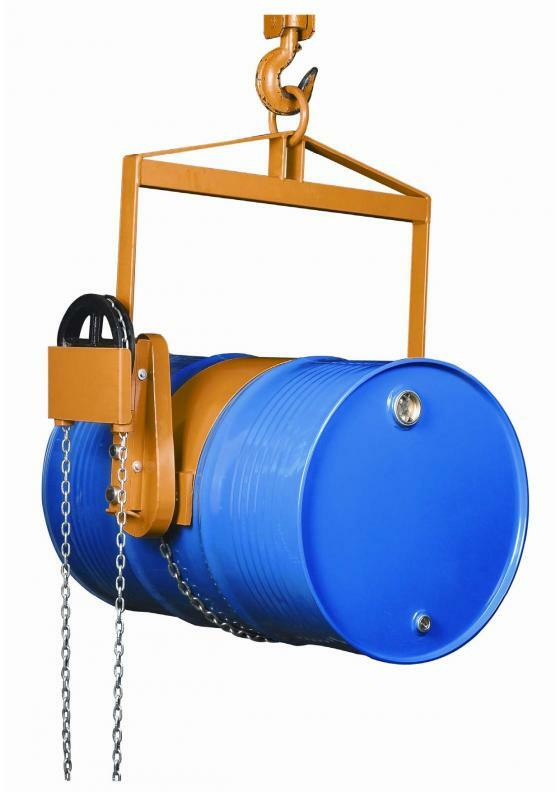 This control chain can be locked to secure the drum in any position during the lift. 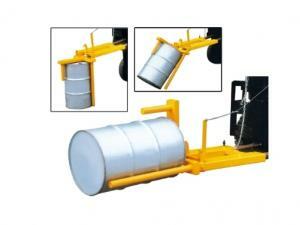 Can be used with overhead crane, hoist or forklift attachment. 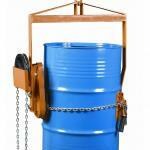 – Simply attach to an overhead crane or hoist, attach saddle around drum, and raise. – Geared chain control requires minimum effort. 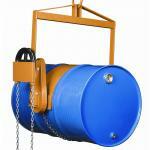 – Control chain can be locked to secure drum in any position. 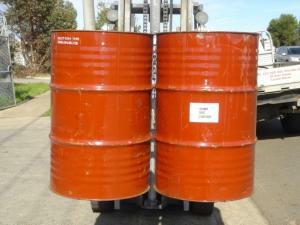 – Positive tilt lock on drum saddle holds the drum upright during transportation. – When released, the operator can manually tilt the drum to control pouring. 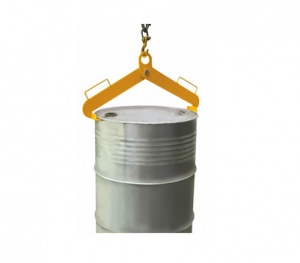 – The drum can be rotated 360 degrees in either direction. – It can also be locked in a horizontal position.